LEDs, whether single-color or programmable, have enabled makers to create a wide variety of vibrant projects at a reasonable price. 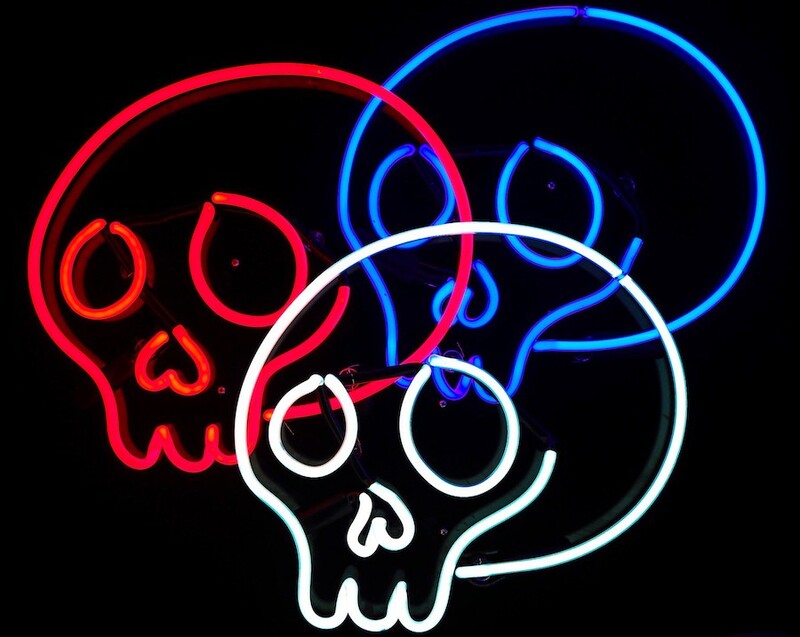 Neon sign projects, which require sophisticated glass making techniques as well as high voltage for control aren’t as common, but do still have their adherents. Some have even experimented with making them sound reactive. Up until now, sound control meant using a microphone to detect audio signals and flash accordingly. 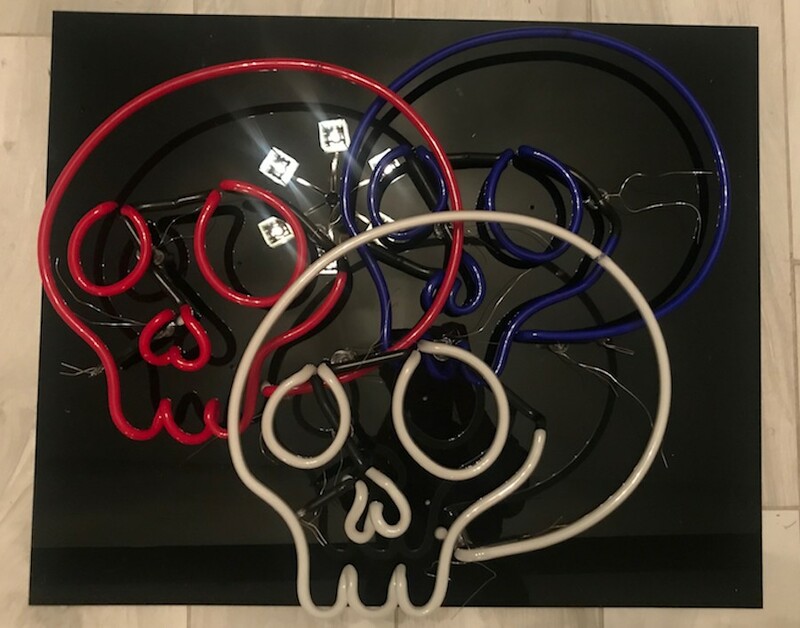 David Garges, however, is using an Arduino Leonardo equipped with an Olimex MIDI shield to individually activate three neon skulls, crafted by artist Dani Bonnet. His setup can be programmed via MIDI directly, or can use beat analysis software to activate the proper lights depending on audio output. There has been much desire in the Neon Art community for clean and responsive musical interaction with high-voltage Neon Signs. Currently, the existing infrastructure uses a microphone to detect audio and flash accordingly. Unfortunately, due to this method of processing the Neon always responds with a small delay. Clapping and shouting can also disrupt the interaction when using an on-board microphone. This project solves that problem by transmitting musical data via MIDI protocol to a controller which activates then activates Neon Tubes accordingly. I have designed and built a system that takes a slightly different approach but accomplishes what the Neon Art community desires. This project offers two performance modes: one that allows for electronic artists to perform seamlessly using MIDI instruments, and one that allows DJs to feed BPM analysis to the system to synchronize the Neon flashing with actual recorded music which enables Real-Time Audio-Controlled Neon. Be sure to check out the demo in the video below! Possible use as a learn-to-play piano? something along the lines of the keys light up when you need to hit them?